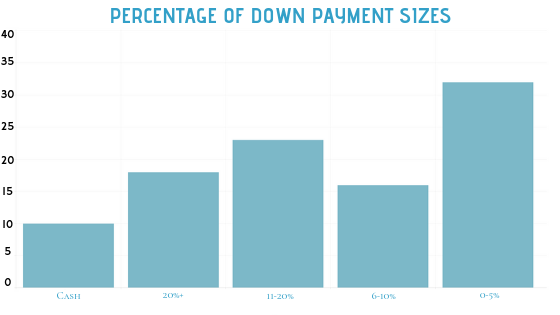 How Big Should a Down Payment Be? Is a 20% down payment the best option? Being in the real estate industry, I spend a lot of my day talking about houses. In particular, I talk a lot about buying houses. There’s one type conversation I’ve had a few times that is really surprising to me. It’s because the premise of the question doesn’t mesh with reality. Here it is. Just last week I was talking to my new barber. He mentioned that he was saving for a down payment – he really wanted to get that ‘standard’ 20%, but was probably going to settle for only 10%. This is a commonly held belief that over half of Americans have. I’m sure you’ve heard it before. That’s the part that doesn’t mesh with reality. A 20% down payment is not a requirement to buy an owner-occupied house. Neither is 10%. In fact, the lowest down payment that will be accepted is 0%. The Department of Veteran’s Affairs and the Department of Agriculture both offer 0% down mortgages. Now, I want to make it clear I’m not advocating everyone put 0% down on their house, I’m just stating (popular) options. 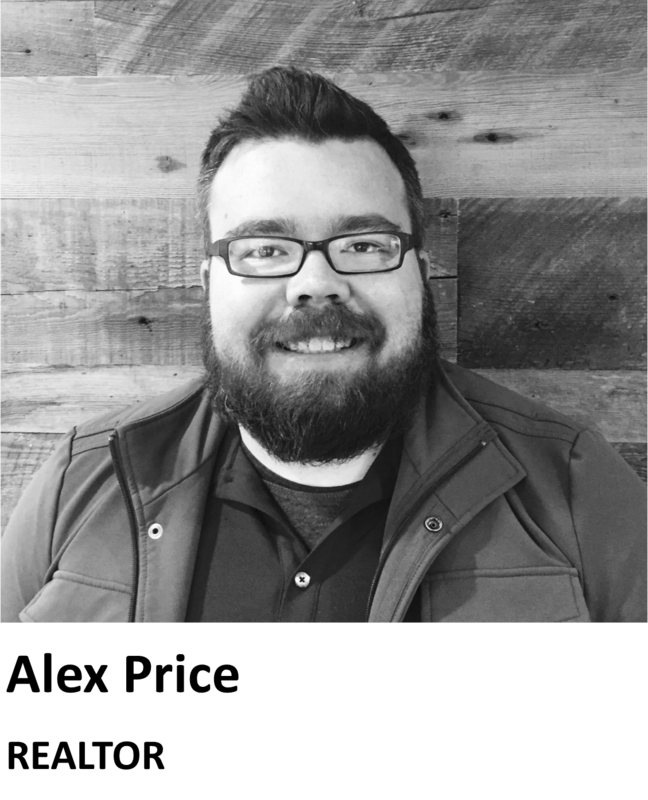 In addition to the 0% options for military veterans and those buying in rural zip codes, Idaho has a fantastic program that provides for $1,000 or .5% down payments on these loans. No, I’m not joking. Yes, the program is available to (almost) everyone. No, the loan stipulations aren’t crazy. Yes, you can get a loan like this right now. Seriously. I’d be happy to send you to a lender right now to prove me wrong. So let’s get back to the questions at the beginning. 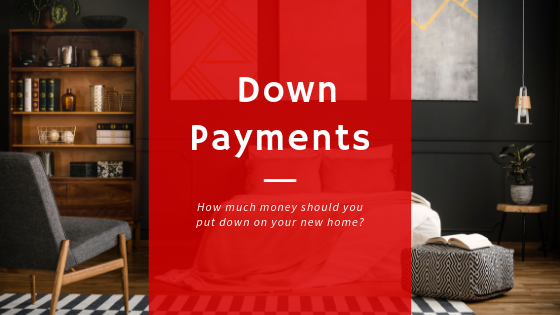 What kind of down payment do you need and what down payment should size should you use? Now, everyone has a different financial situation, and there’s no way to give a ‘right’ answer to what down payment you need. Just know that there are options, and that it’s definitely not a hard and fast rule at 20%. Below is a graph based on data from Nerdwallet’s 2019 Home Buyer Report. It shows different sized down payments and their usage rates on the Y axis. As you can see, the vast majority of buyers use less than 20% down payments. Then, what size down payment should you put down, and why is there this pervasive belief that you have to use 20%? That, my friends, is because of something called Private Mortgage Insurance, or PMI. This is an insurance premium that’s applied to the value of the mortgage in case you default on the loan. Basically, foreclosures cost banks money so that risk is based on to normal consumers. That is, unless, you put down 20%. Thus, a myth is born. Is avoiding PMI worth it? I apologize in advance for the amount of math I’m going to throw at you. There’s just no getting around it, but I’ll try to make it digestible. So, you want to buy a house, like 50% of all home buyers you have less than 10% to put down. Do you wait to save for 20%, or pull the trigger with PMI? We need to establish a few facts first. How much is the median home price in Ada County right now? How long does PMI last? It is until equity in the home is scheduled to hit 22%, or when the value of the home rises to give 22% equity. We are going to use an average of 7 years for that to occur. That is the cost of PMI, all things being equal, under “average” conditions. Let’s run the alternative scenario. Let’s say you wait to save up 20%. That is $64,960. It’s also $32,480 more than a 10% down payment. That cash becomes converted into equity, and it saves the cost of the PMI, which is $13,641.6. One way to look at this is to say, “If I spend $64,960 on my house, I’ll get a discount over the next seven years of $13,641.6”. That’s cool. It’s simple to understand and clearly saves a lot of money. The only problem, though, is that this line of thinking doesn’t incorporate the concept of time. How long would it take you to save $64,960? For most of the US history, the average savings rate for the average American has been negative. Extrapolating those averages, it would take longer than infinity to save that much money. That time spent saving, and not participating in the market has a real world opportunity cost that has to be considered. For the sake of the argument, let’s assume it will take 6 years to save $65,000. Let’s run two scenarios: saving $65,000 and buying, or buying today with 0% down payment. Let’s also assume that every year the house under scenario 2 appreciates in value by 3%. (Oh, by the way, the last 9 years have seen annual growth in Ada County around 10%.) That $324,800 house today is worth $387,828 in six years. Funny enough, that’s about $65,000 in equity. The person who buys a house sooner ends up with an equal amount of equity after the saver buys their home. So let’s hop back to scenario one, that’s the scenario that takes six years to save $65,000. Well, now that $65,000 down payment only covers 16.5% of the home’s value, because now the same home is worth $387,828. These examples aren’t real world. They don’t include family needs, student loans, or any number of other intersecting needs. I just wanted to illustrate that there exist many plausible scenarios whereby saving for a large down payment is actually the worse financial decision. Historically, real estate has appreciated over time. That’s a really unique quality in the investment world, and so if you’re going to make a mistake in real estate, it’s (usually) better to buy too soon than too late. All I want to make clear is that the 20% down payment requirement is largely a myth. Buying a home is a really complex financial transaction with a lot of variables. It can’t be distilled into one simple mantra. Same goes for the opposite view of “Use 0% loans only”. That can just as easily be a bad decision. If you are thinking about buying and are feeling overwhelmed then let’s grab lunch. I’ll bring by notebook and a calculator. I’ll crank out all the math and we’ll make a plan!! !